April 29-30 sees the second event in the new-for-2006 Dunlop Great & British Festivals – with 16 races set to run at Brands Hatch. Sunday is the main race day, with 13 events, plus a pitlane walkabout – all for £12. 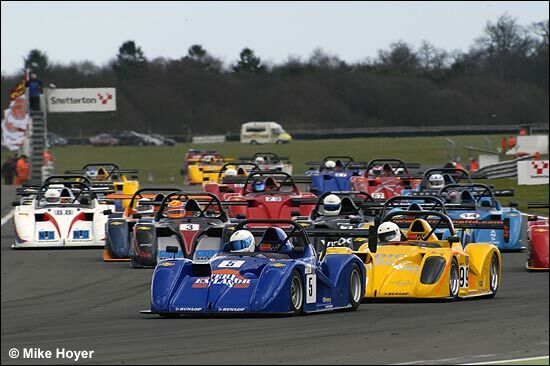 Radicals provide five of the weekend's races, two of them the Radical Enduros – which were won by Phil Quaife / Lee Atkins and Richard Ince / Austin Kinsella at Snetterton. The Dunlop Radical Biduros comprise two 20-minute races for the 1200cc Radical SR4s. James Saggers and Guy Hodgkin were race winners at Snetterton, while teenager Toby Newton was a podium finisher and Radical boss Mick Hyde also featured prominently. Add in the MINI Challenge (a 15 minute sprint, plus a 30 minuter), the Dunlop Mini Miglia and Dunlop Mini Se7en Challenges, the AVO Ginetta Championship, the EuroBOSS single seaters and the MSV T Cars, and all this on the Indy Circuit – so most spectators will see almost the whole track – and the second event in the Dunlop series should be great value entertainment. Qualifying starts at 9am on Saturday, with the first of three races at 4.40pm. On Sunday, the first of 13 races is at 10.05am. Children won’t be charged an admission fee, and the paddock and stands are also free.